Candidates gain knowledge and skills in core software development skills using Visual Studio. The MTA Software Development Fundamentals course aims to train students to undertake the MTA Software Development Fundamentals exam. It is one of the most fundamental certifications offered by Microsoft and can play important role in pursuing higher level certifications such as MCSA Web Development. During the MTA Software Development Fundamentals course various concepts are covered including understanding the computer storage and data types, memory stacks and heaps, memory size requirements for different data storage types, numeric data and textual data, computer decision structures, various decision structures used in all computer programming languages, methods for handling the repetition, For loops, While loops, Do..While loops and recursion, error handling, exception handling and what not. 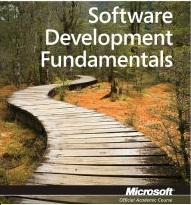 What is included with the MTA Software Development Fundamentals Course?